scene files, materials, texture maps, and additional insight on how the package works. This is the way to present the book’s projects. 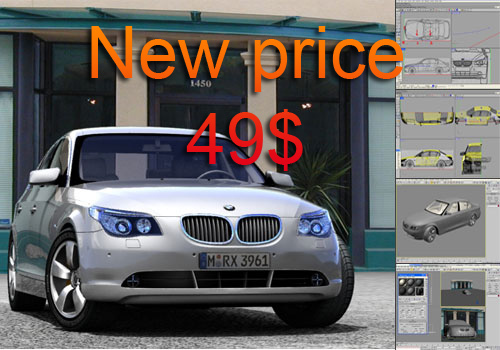 The author helps you to create model of BMW 5-series with convincing lighting effects and build realistic picture. 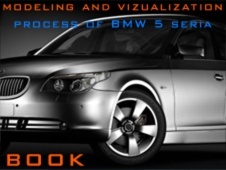 The book also supplies with knowledge about advanced modeling techniques (NURBS). 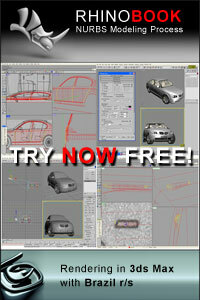 Sub-chapters of the book contain information about visualization in 3DS MAX with rendering system Brazil r/s. Online payment transfers through a secure system PayPal. Within 24 hours you will receive a link for downloading book after provide succesfull payment. your first accurate car model?